You Are Here: Home > 2019 INFINITI Q50 vs 2019 INFINITI Q70 | What’s the Difference? 2019 INFINITI Q50 vs 2019 INFINITI Q70 | What’s the Difference? Both vehicles have robust engine choices to choose from. 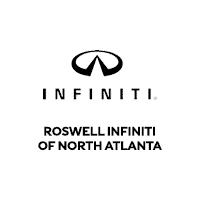 On the 2019 INFINITI Q50, you can get a 2.0-liter turbocharged inline 4-cylinder (I4) with 208 horsepower and 258 lb-ft of torque (on the base-level Pure), a 3.0-liter twin-turbocharged V6 with 300 horsepower and 295 lb-ft of torque (on the Luxe and Sport), or the V6 tweaked to produce 400 horsepower and 350 lb-ft of torque on the top-performing Red Sport. On the larger 2019 INFINITI Q70, you can choose between a 3.7-liter V6 with 330 horsepower and 270 lb-ft of torque or a 5.6-liter V8 with 420 horsepower and 417 lb-ft of torque. Regardless of engine, you can expect to accelerate quickly or merge into traffic without any problems. Since these are performance-oriented vehicles, the drivetrains provided for the Q50 and Q70 focus on optimizing handling and traction. The rear-wheel drivetrain helps promote a more even weight distribution from front to back, since the engine is placed at the front; this leads to a steadier ride. And the all-wheel drivetrain is available for maximizing tire grip on the road, especially during wet or slippery road conditions. Even if you get a base-level model, the 2019 INFINITI Q50 and 2019 INFINITI Q70 come with a high level of comfortability. Leatherette-covered seats with 8-way power adjustability on the front ones are standard on the Q50; on the Q70, you will get leather upholstery, a heated steering wheel, and 10-way power and heating and cooling on the front seats. Also standard on both vehicles is dual-zone automatic climate control, thus allowing both driver and front passenger to adjust the HVAC system according to their preferences. Added on the Q70 is active noise control, which maximizes the ability to shut out unwanted noises from the cabin for a calm, tranquil driving experience. Ready to check out both the 2019 INFINITI Q50 and the 2019 INFINITI Q70? Call us today at our dealership in Roswell, Georgia to set up an appointment. As evidenced by aggregated reviews on Google, Cars.com, and DealerRater.com, we take customer satisfaction very seriously. One of our INFINITI experts will be able to assist you with your new vehicle, as well as present your financing options.